The Fabricated Geomembrane Institute (FGI) presented a live-streamed short course at the University of Illinois at Urbana-Champaign (UIUC) on 3 August, 2018. The short course was organized by the FGI and was streamed on-line by the Geosynthetic Materials Association (GMA). The short course was offered as a set of six continuous webinars, with a one-hour lunch break separating the three morning sessions and the three afternoon sessions. The all-day short course drew 210 registrants, with over 100 attendees streaming at any one time. The excellent and timely presentations focused on the challenges and environmental concerns with containment and engineering technologies and how geosynthetics and geomembranes can be used to mitigate the concerns and risks. Andy Durham of Owens Corning served as the emcee for the short course; introducing each speaker, as well as moderating the live question and answer section at the end of each presentation. The beginning portion of the short course focused on geomembrane life and performance. 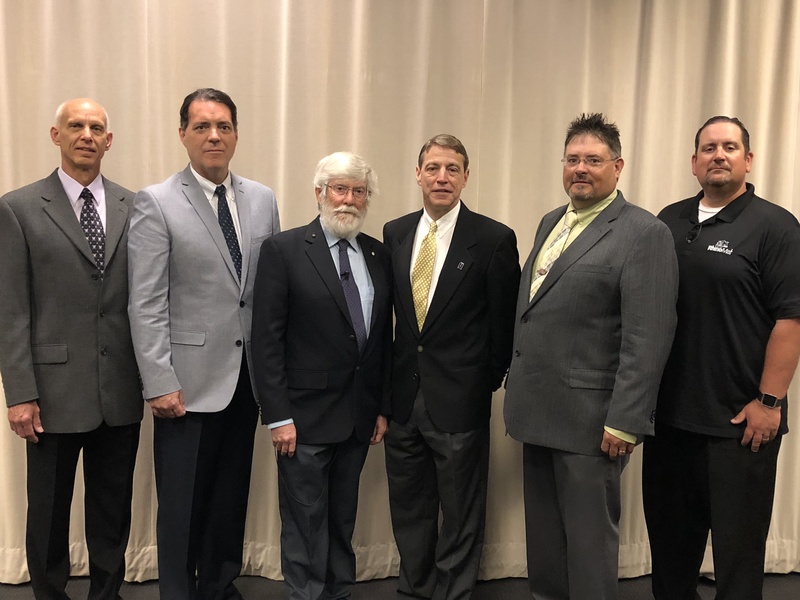 Dr. Kerry Rowe, of Queens University focused on service life of geomembranes, while GlenToepfer, of CQA Solutions provided insight into the latest advancements in geomembrane testing and certified quality assurance (CQA) procedures. Finally, Dr.Kerry Rowe concluded the morning sessions with an informative presentation on the effects of wrinkles on geomembrane performance. The second half of the presentations focused on various applications of geosynthetics in civil engineering applications. For example, Sam Allen, of TRI Environmental reviewed the best practices for zero leak containment. Gary Zych, of American Electric Power in Columbus, Ohio gave an informative presentation on effective disposal techniques for Coal Combustion Residuals using PVC geomembranes. Finally, Dr. Timothy Stark, of the UIUC wrapped up the live-streamed event with a presentation detailing elevated temperatures in containment applications.